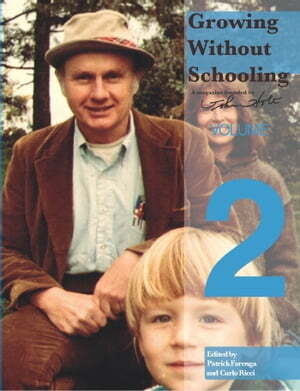 Collins Booksellers - Growing Without Schooling Volume 2 by John Holt, 9781370560028. Buy this book online. Growing Without Schooling (GWS) is the first publication about learning outside of school, homeschooling, and unschooling founded by the late teacher and author John Holt. Published continuously from 1977 until 2001, the 143 issues of GWS are filled with practical, hands-on advice from parents and children who are living and learning in their homes and communities. Each issue also contains legal, educational, and social advice and commentary about self-directed education and how it can be nurtured for all. GWS is about reintegrating children into society, not isolating them from it. As Holt writes in GWS, "A school is not an ideal. It is a social response to a difficult and wrong situation—a society which has no room and no use for children, and which has few people who are glad or even willing to have them around. The ideal would be a society in which knowledge was widely available and freely shared, and in which children were everywhere safe and welcome." GWS is Holt's contribution to show how such a society can be created, one family at a time. Featuring many letters, analyses, and media stories, volume 2 shows how diverse allies join for a common cause: to help children learn in their own ways.